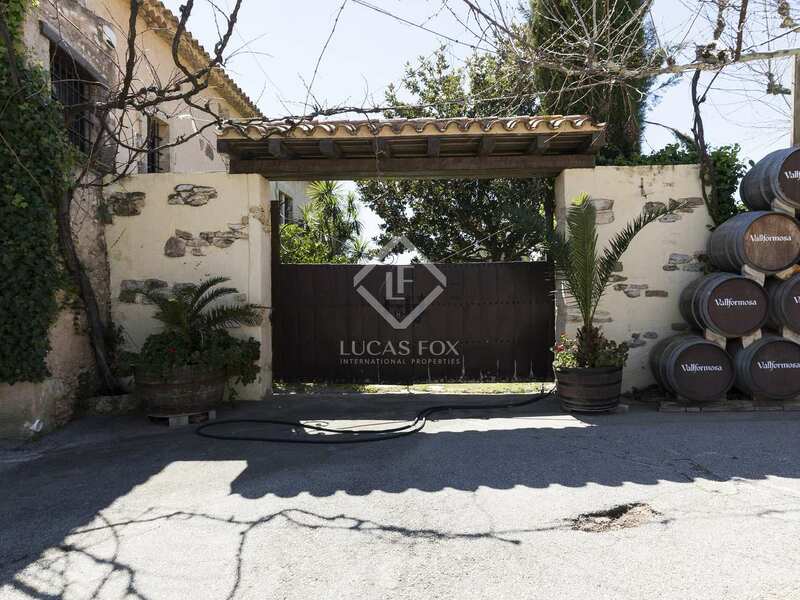 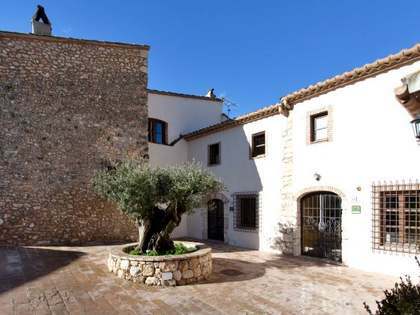 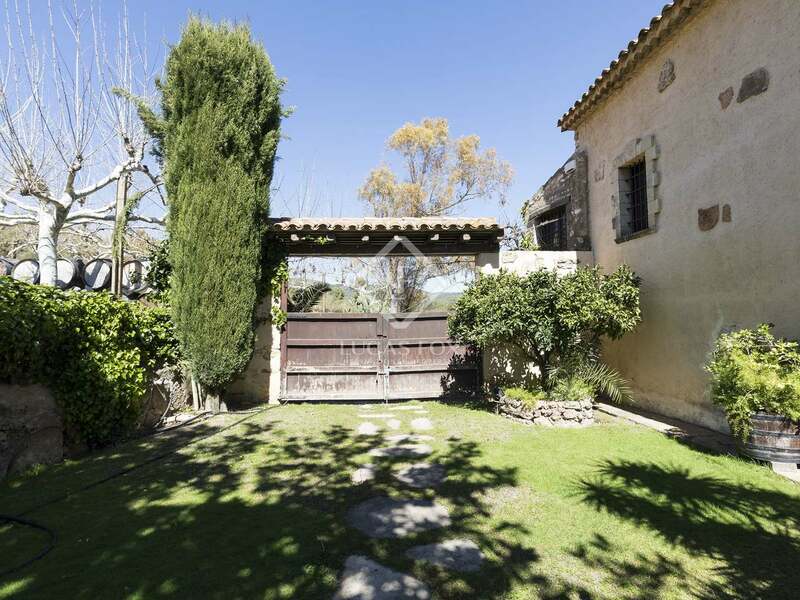 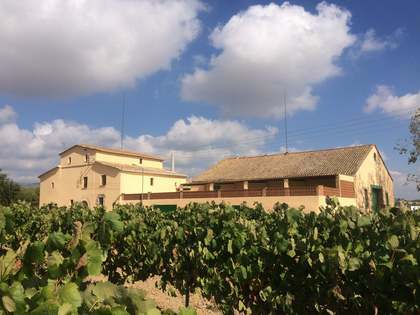 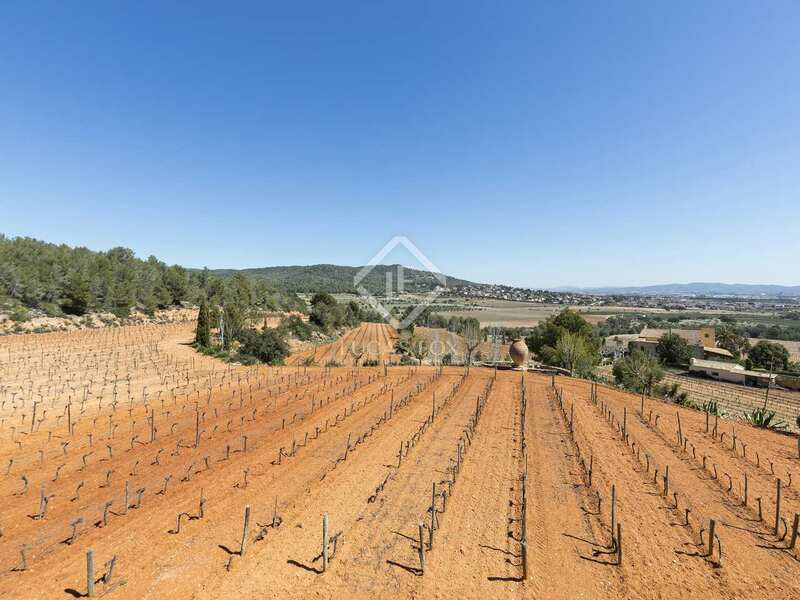 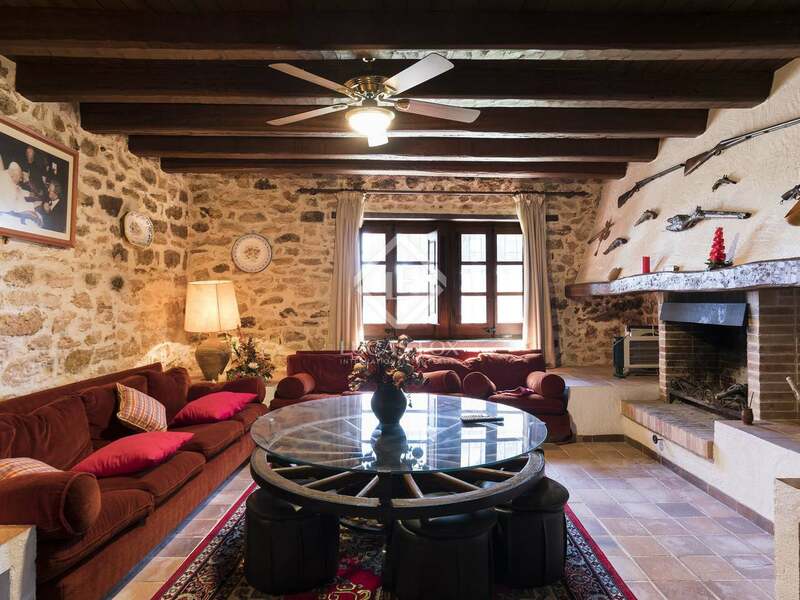 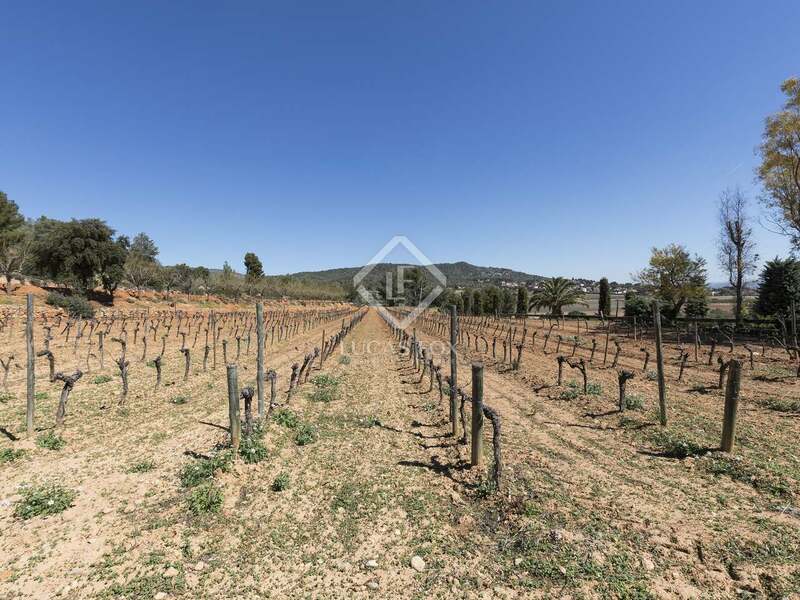 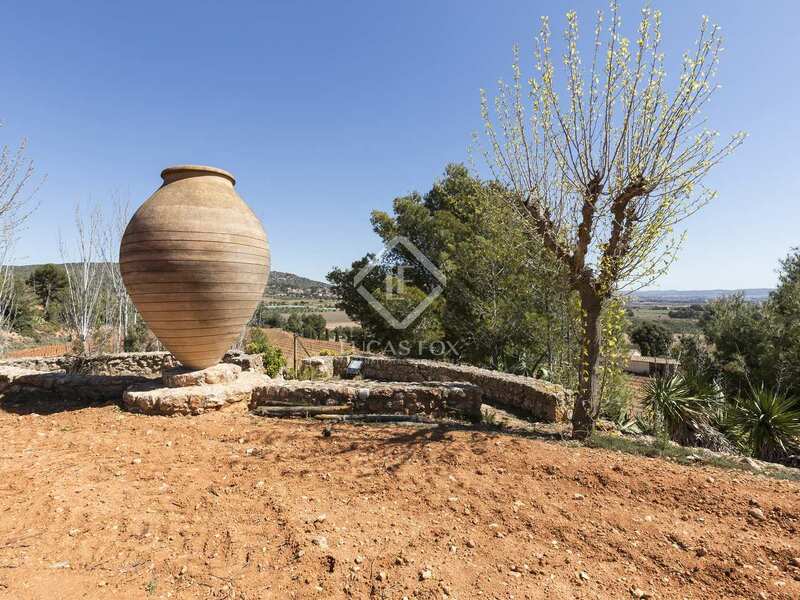 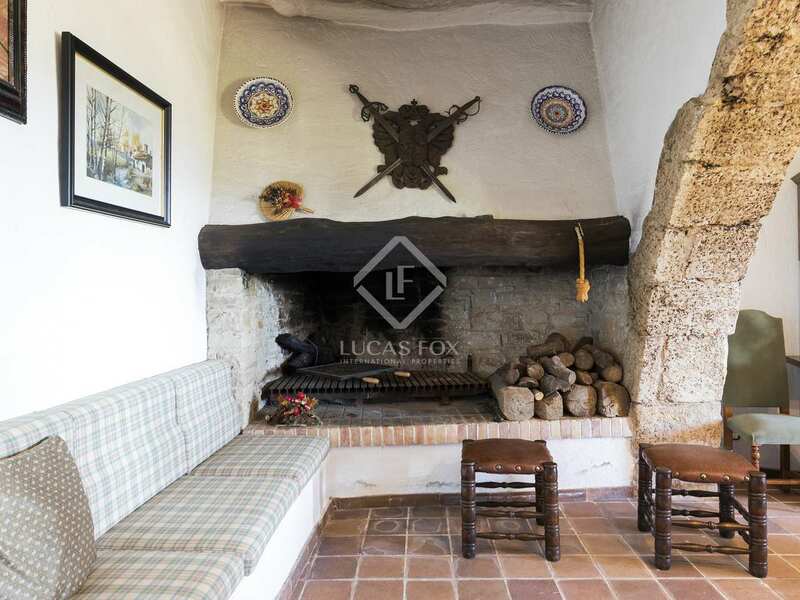 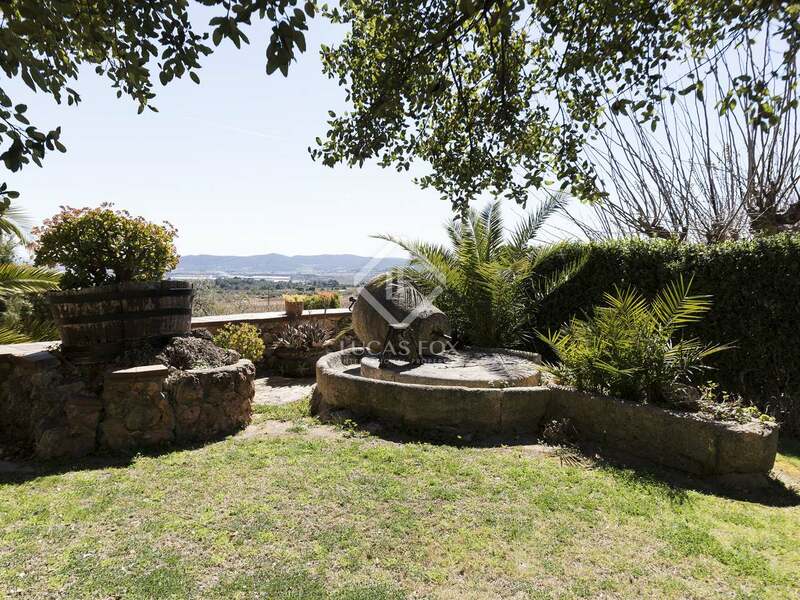 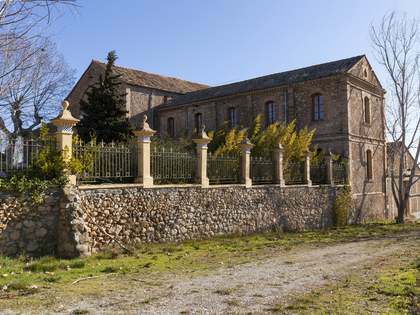 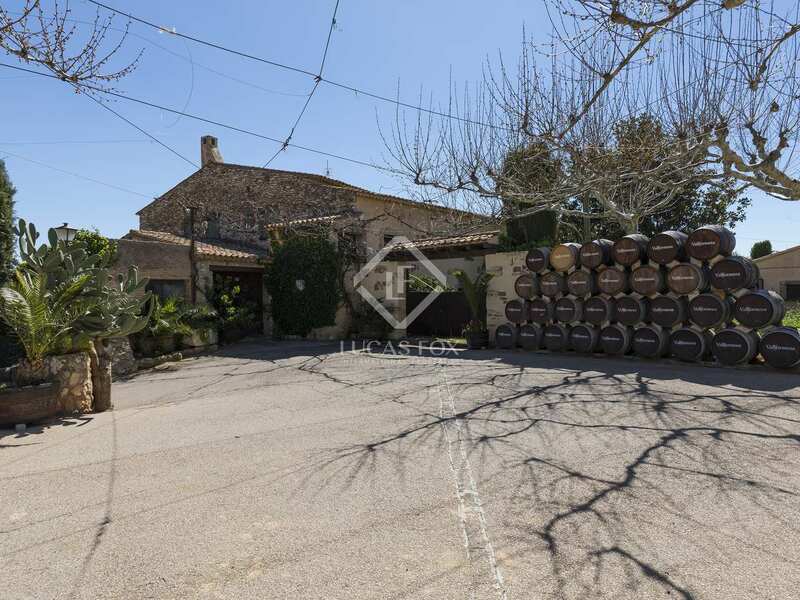 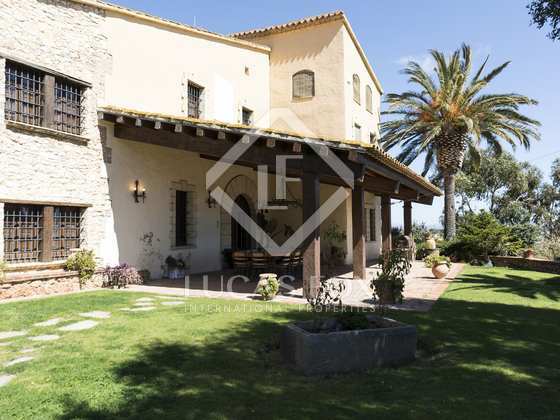 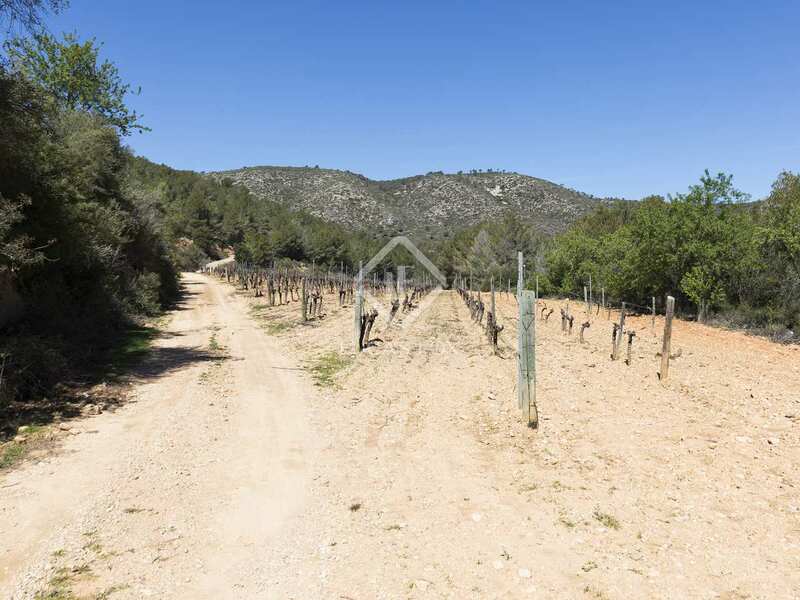 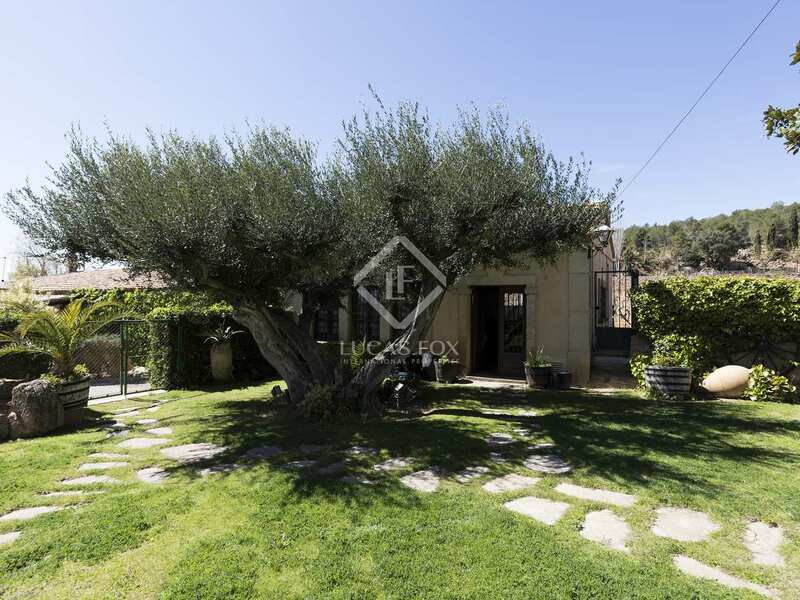 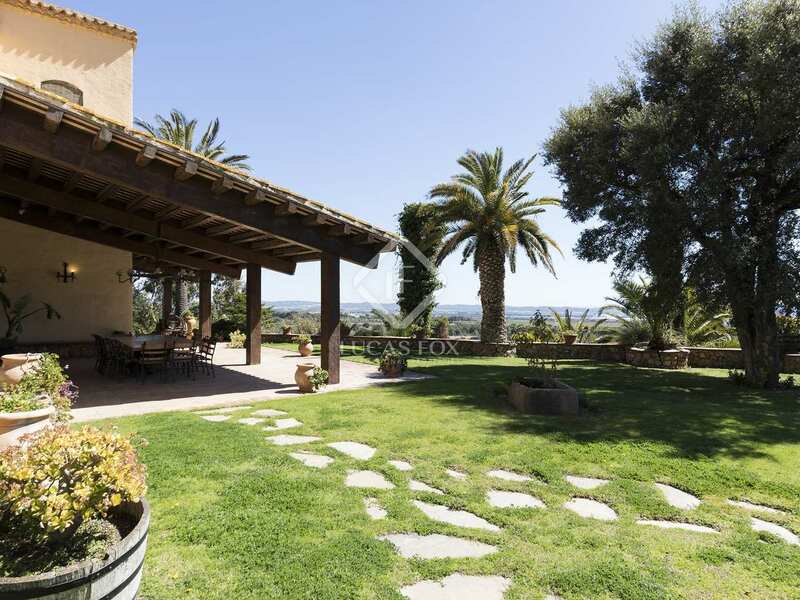 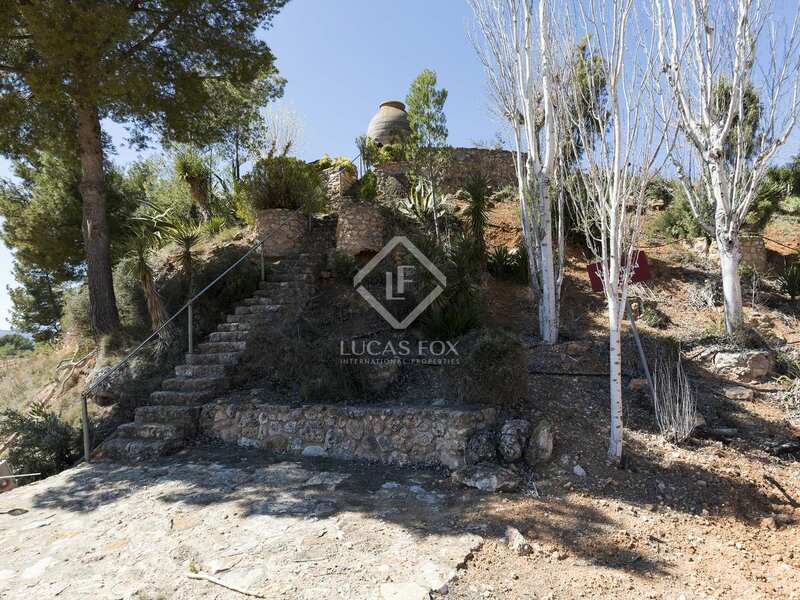 Historic farmhouse and working vineyard in the beautiful Penedès wine region near Sitges. 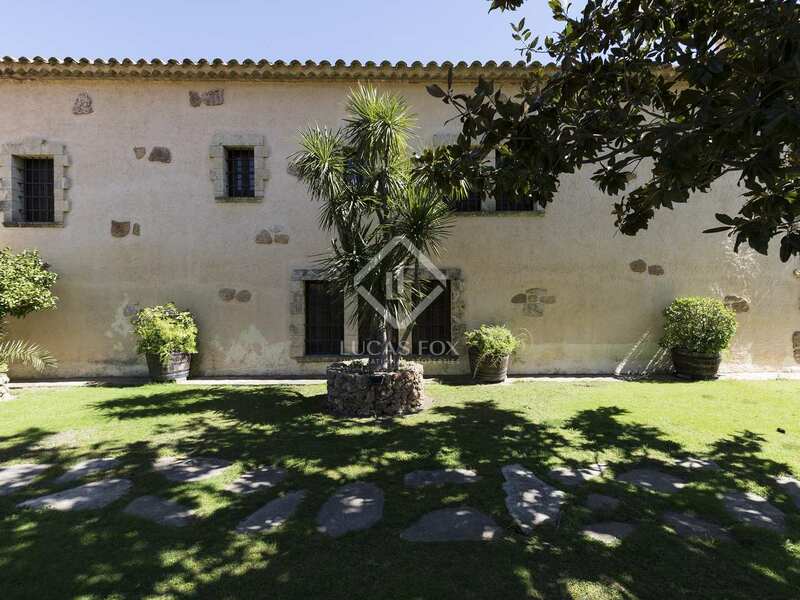 This classic 16th Century masia sits on a 78 hectare estate with 27 hectares of private vineyards with different varieties of high quality grapes (including Merlot and Cabernet Sauvignon), arable land and olive trees, less than an hour south of Barcelona and just 15 minutes from the beach. 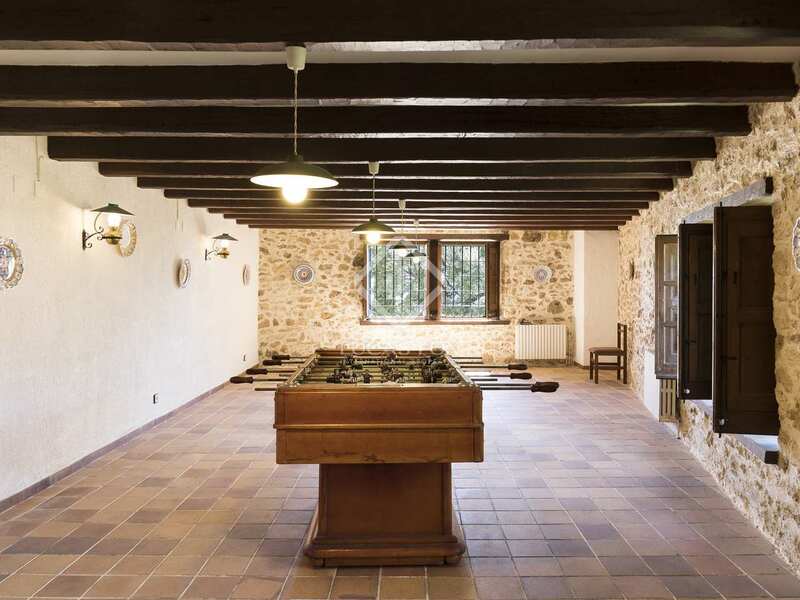 This property makes a wonderful family home but has extensive potential for conversion into a spectacular boutique hotel and working vineyard, perfect to embrace the growing thirst for wine tourism. 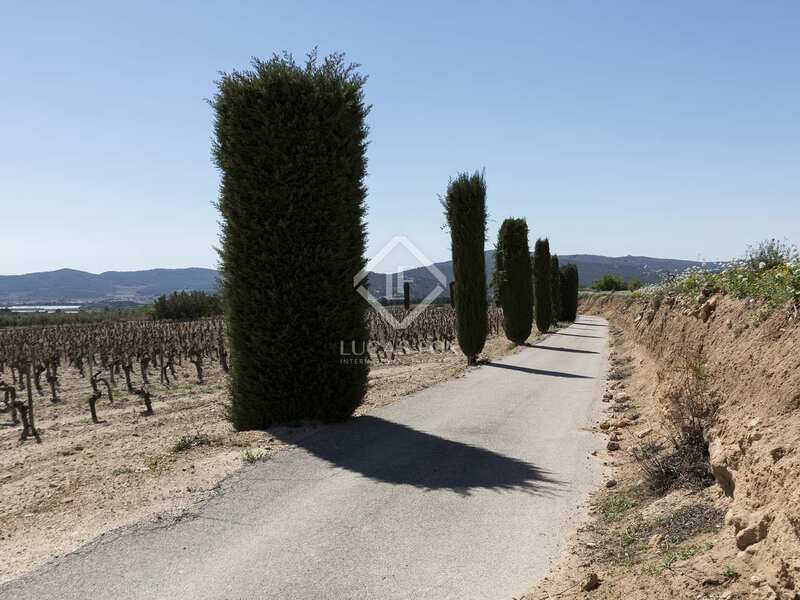 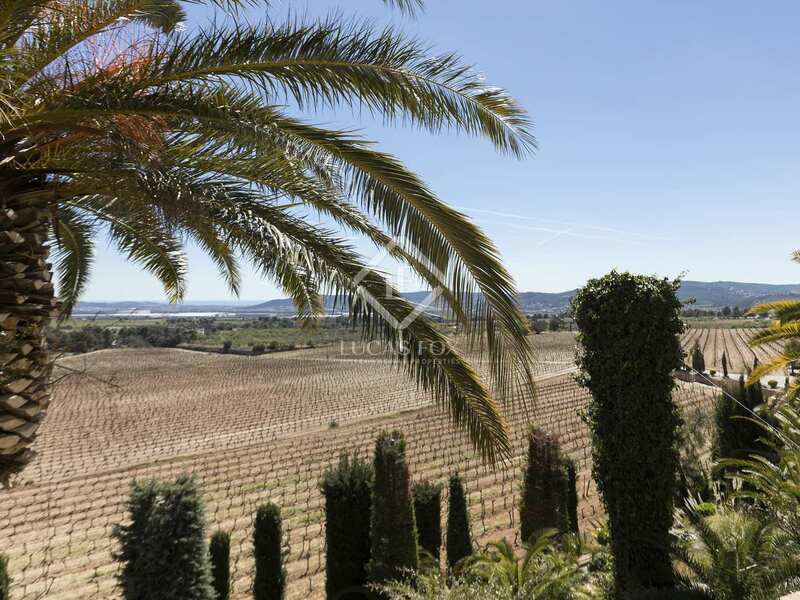 This is rolling wine country and the property is in the heart of the famous Penedès region, but also has lovely views as far as the sea. 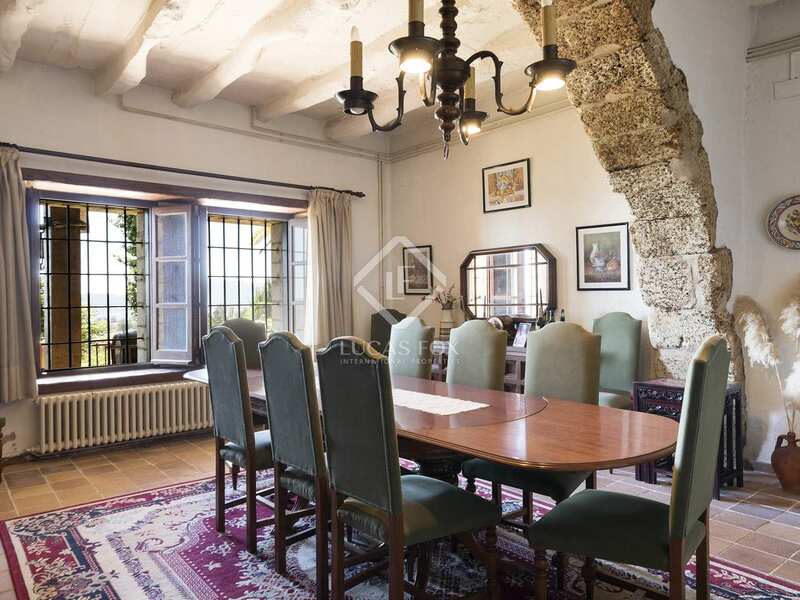 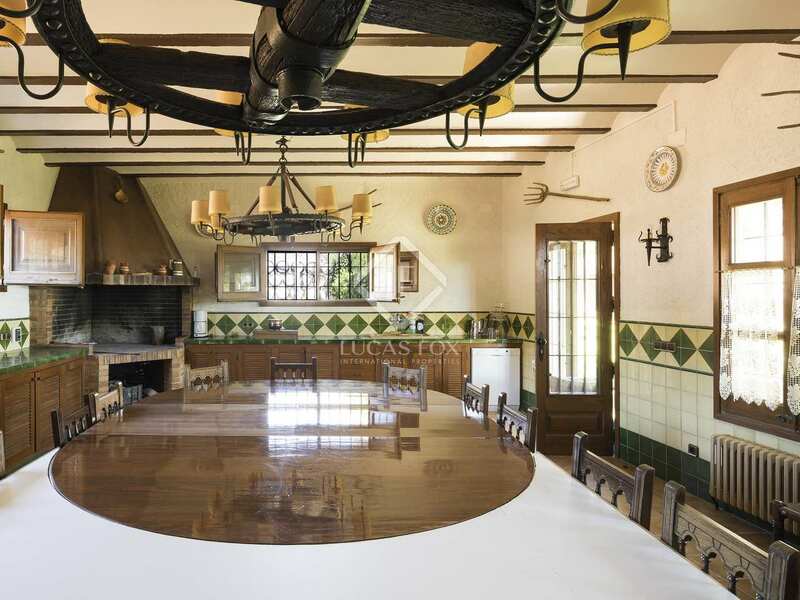 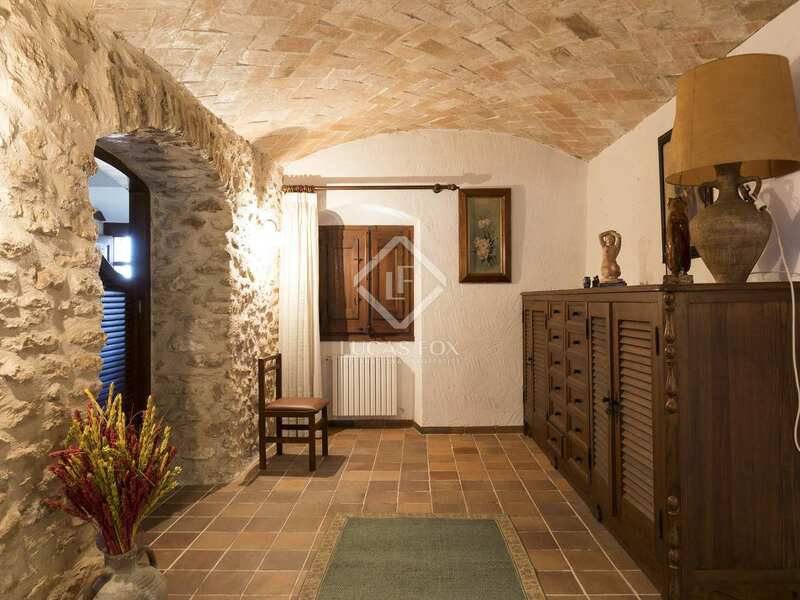 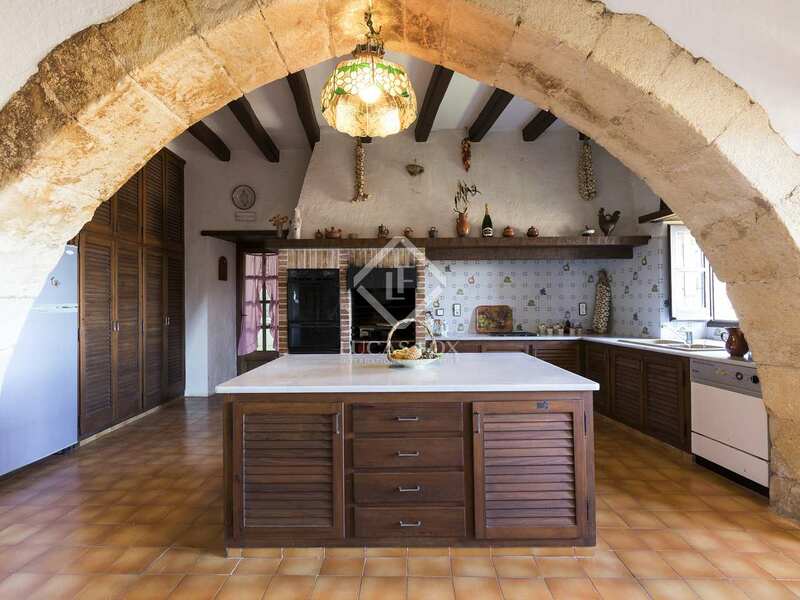 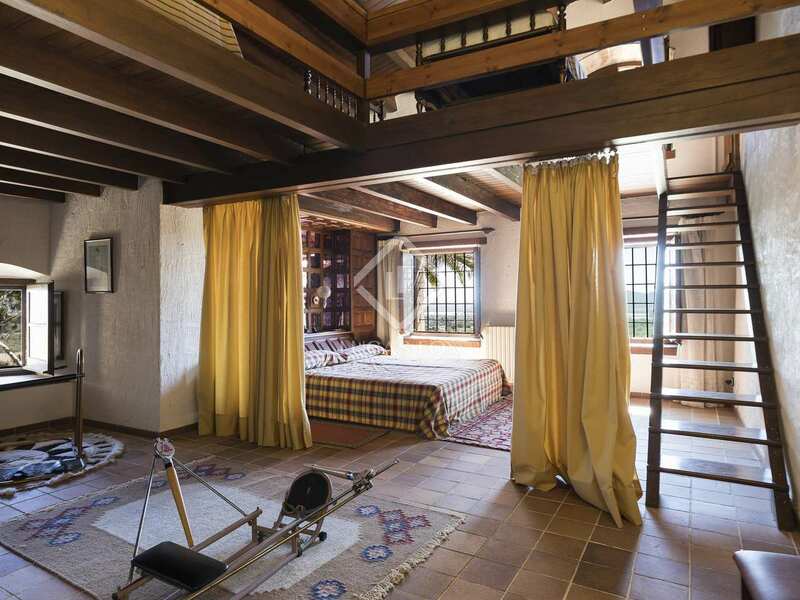 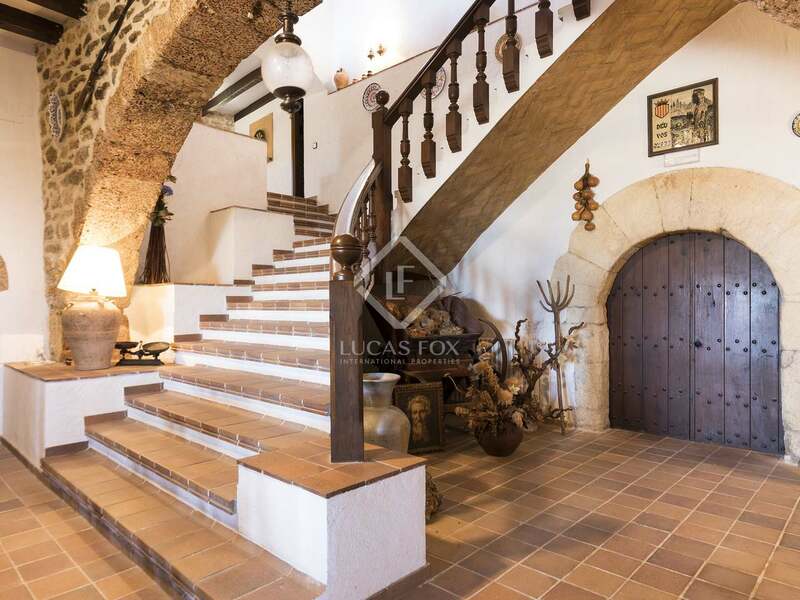 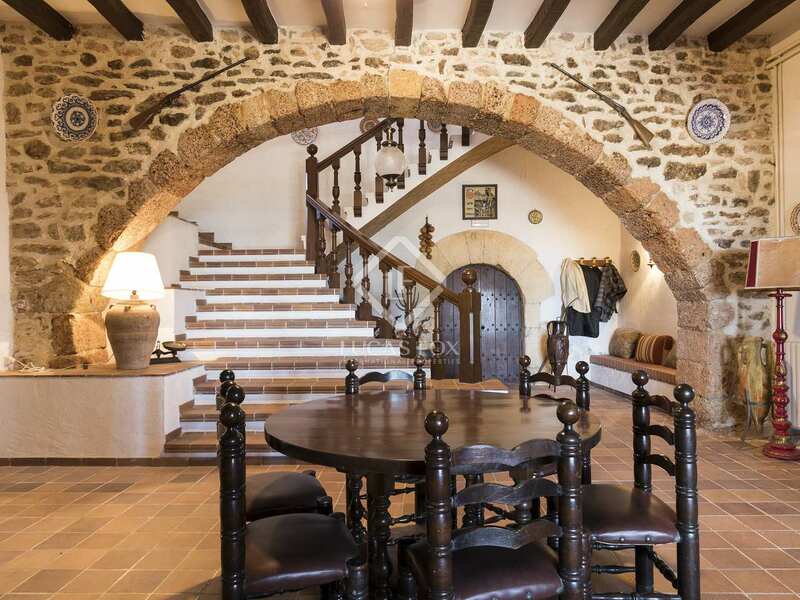 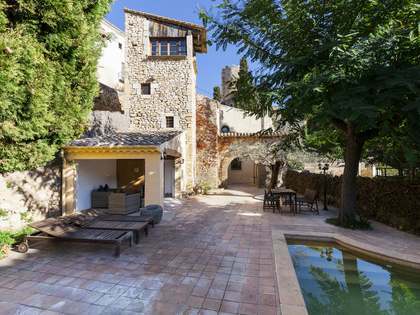 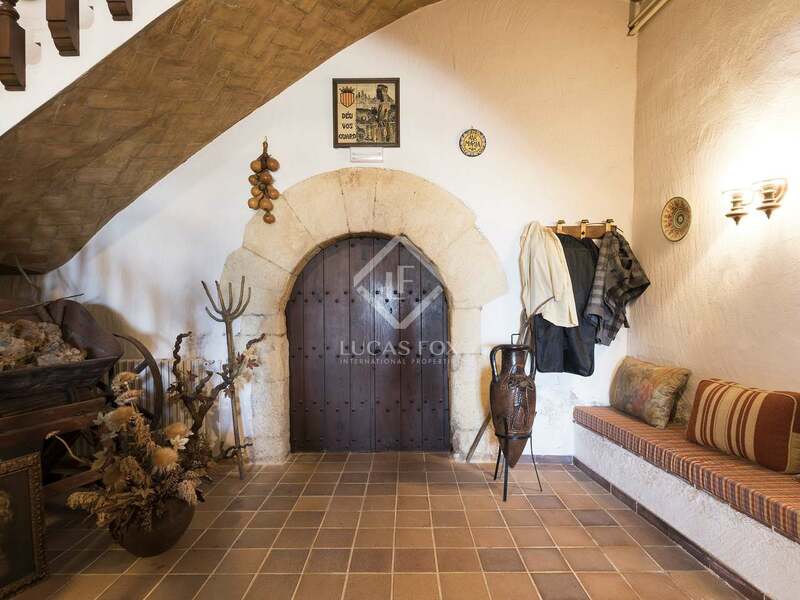 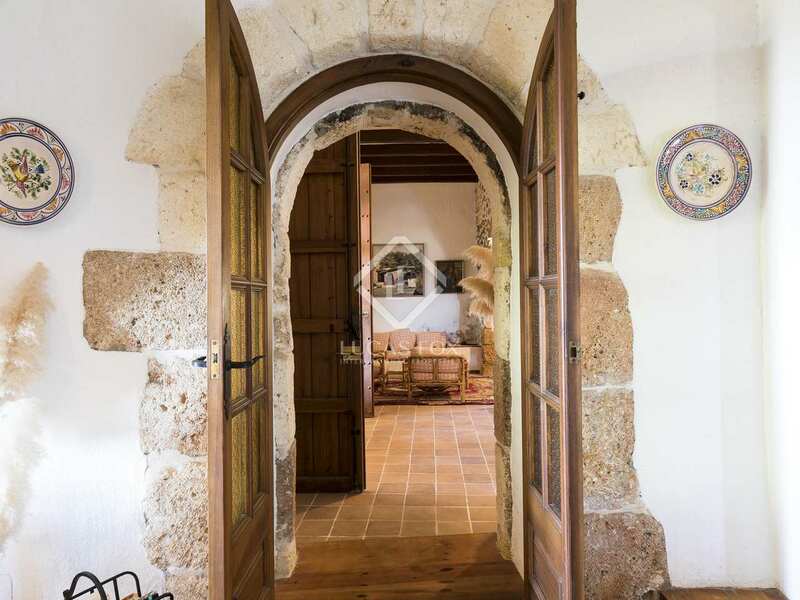 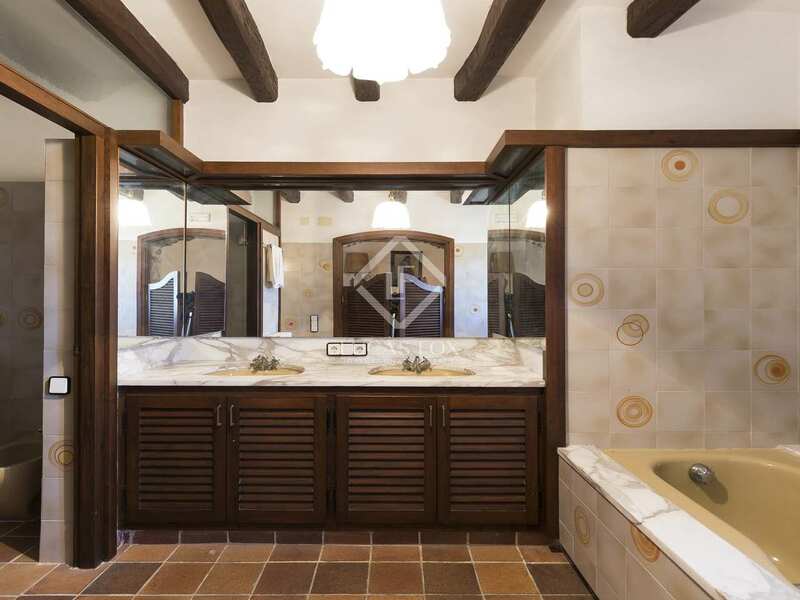 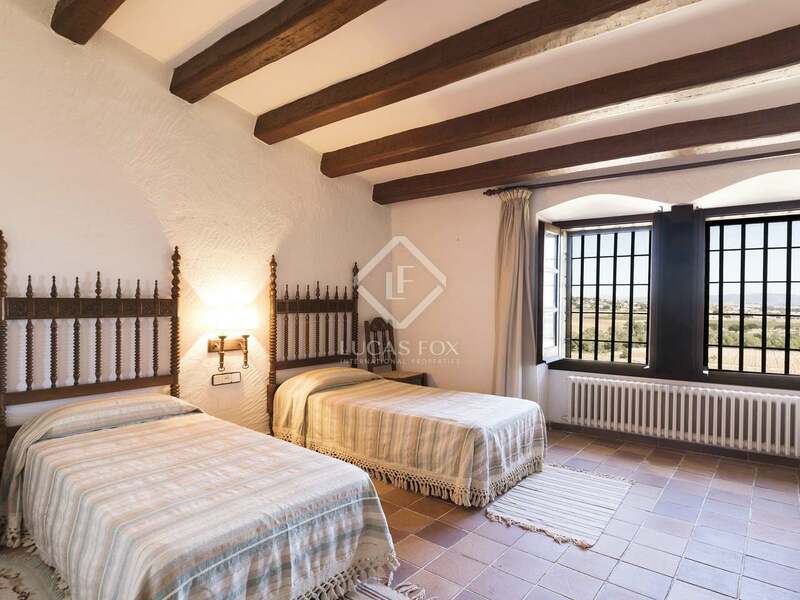 The masia retains a wealth of original features including vaulted ceilings, wooden beams, cellars and wine paraphernalia. 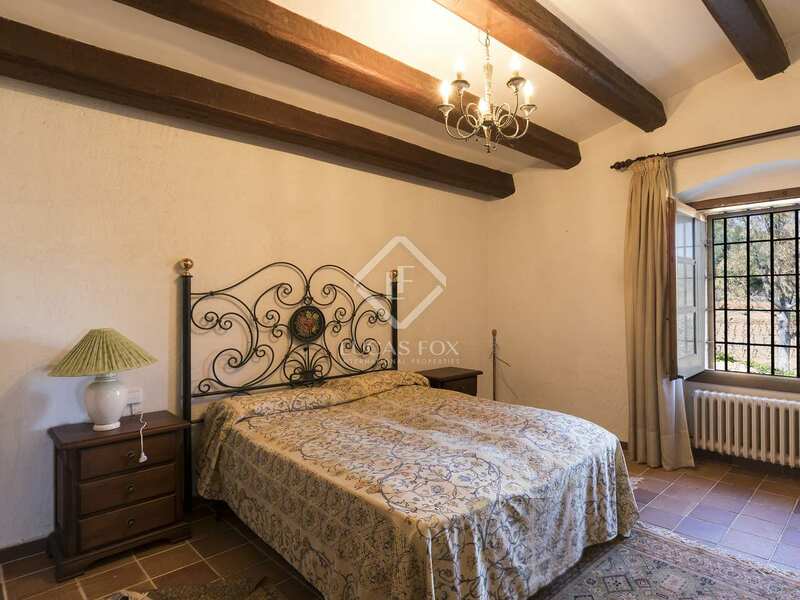 It currently has 4 ensuite bedrooms, but there is plenty of additional space for a further 4 or 5 bedrooms. 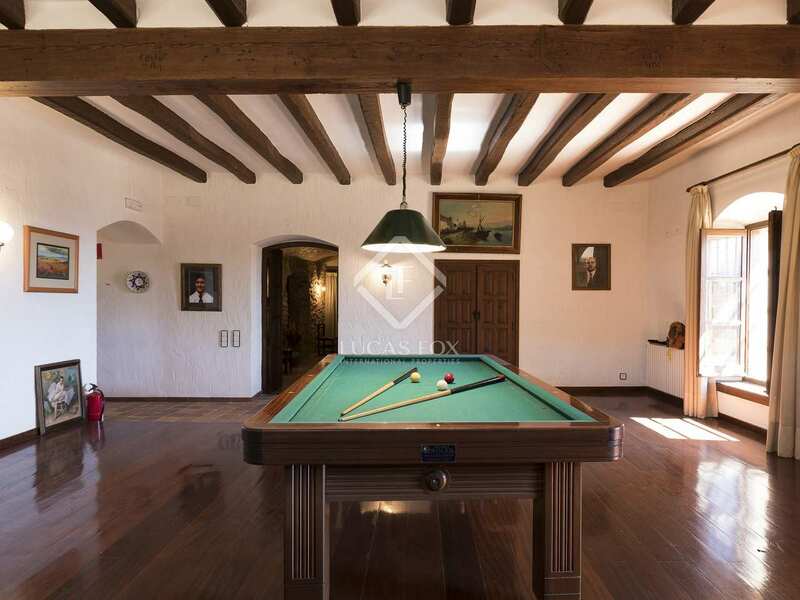 The current owners use some of this extra space as a games room and snooker room. 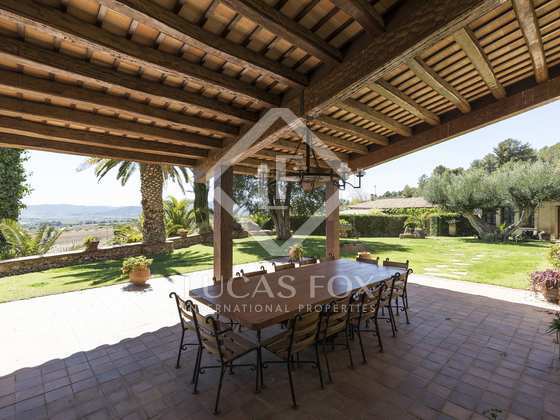 A 173m² house in the garden is perfect for extra staff or guest accommodation, while a charming porch and barbecue area with kitchen is perfect for indoor or al fresco dining, events and entertaining. 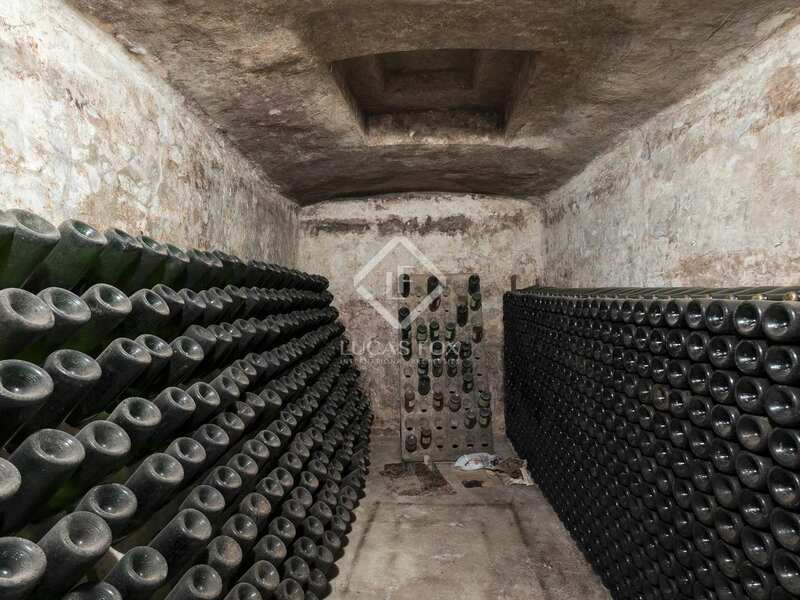 Current annual wine production is 216,000 kilos, with the possibility to produce 2-3 million bottles. 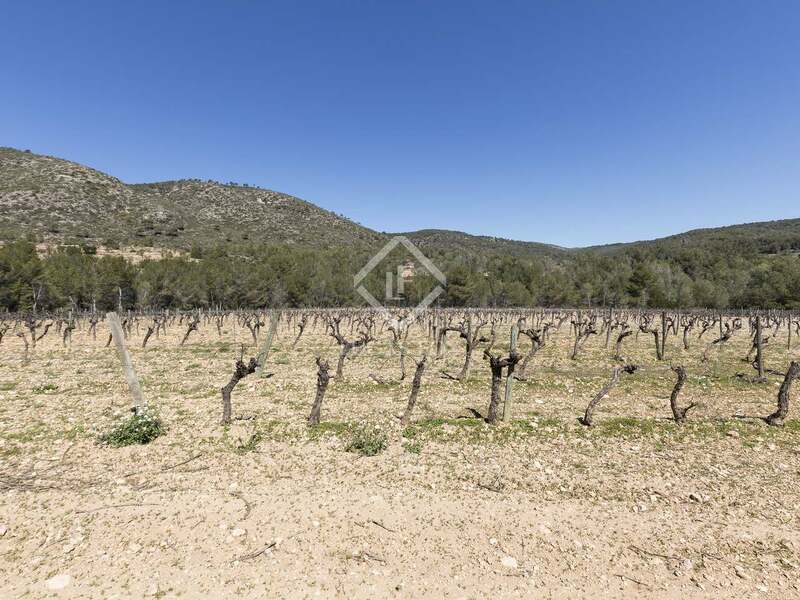 The vendor is also offering the new owner the possibility of a 10-year purchase contract for all grape production at a fixed agreed price. 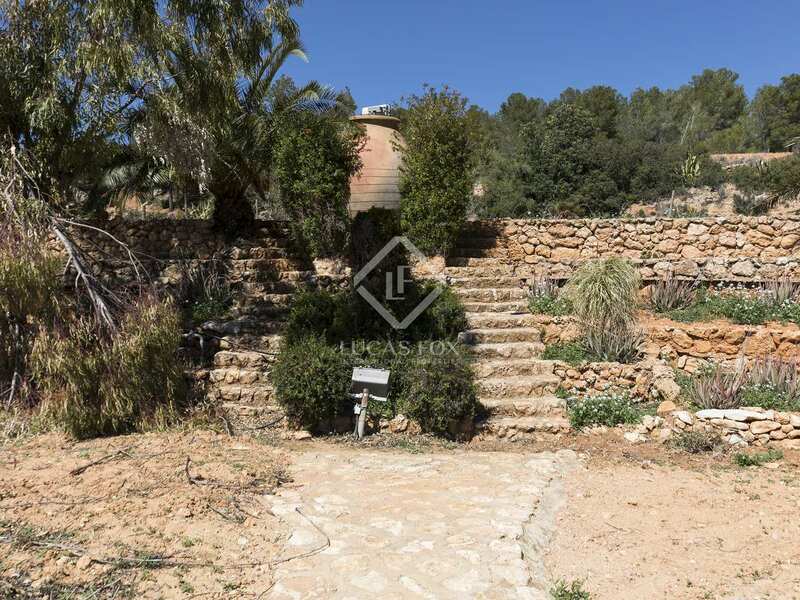 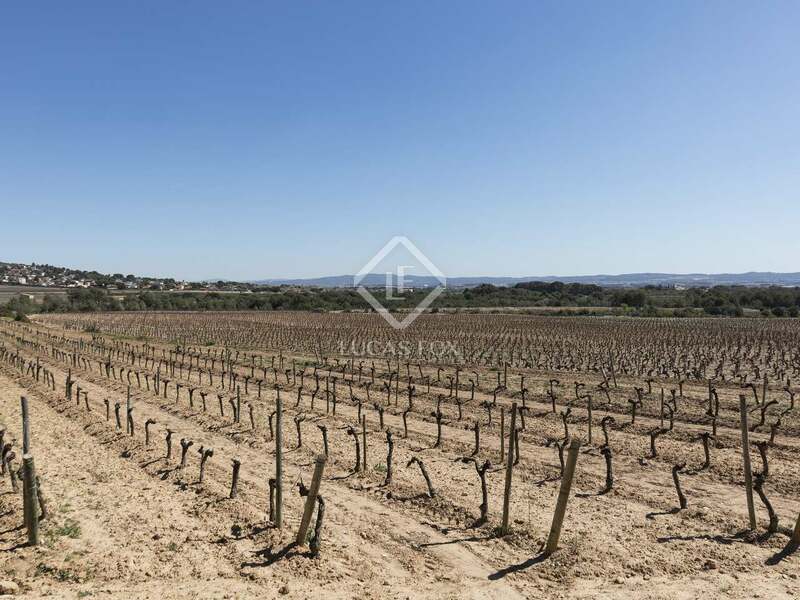 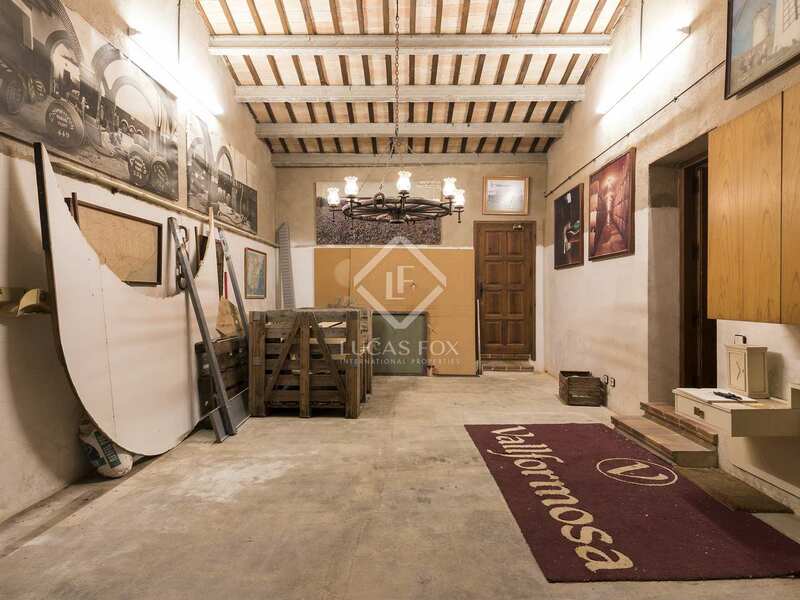 There is a 128m² warehouse for storage of machinery and products from the estate, which also has 419m² of arable land and 453m2 of olive trees, and irrigation is via a private well with a flow of 7,000l/hr. 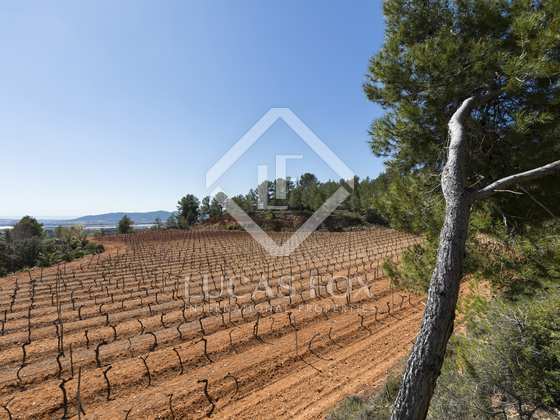 In addition there are 56 hectares of private forest, ideal as a complement to the farm. 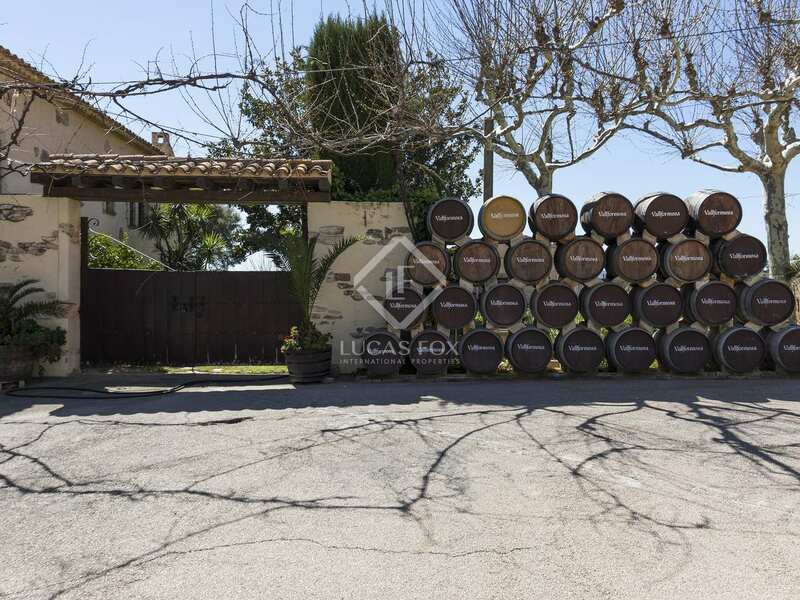 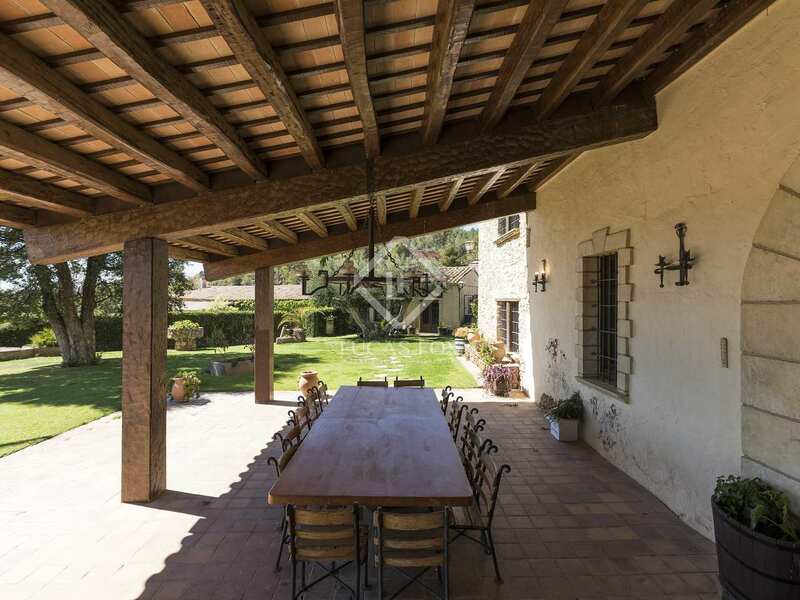 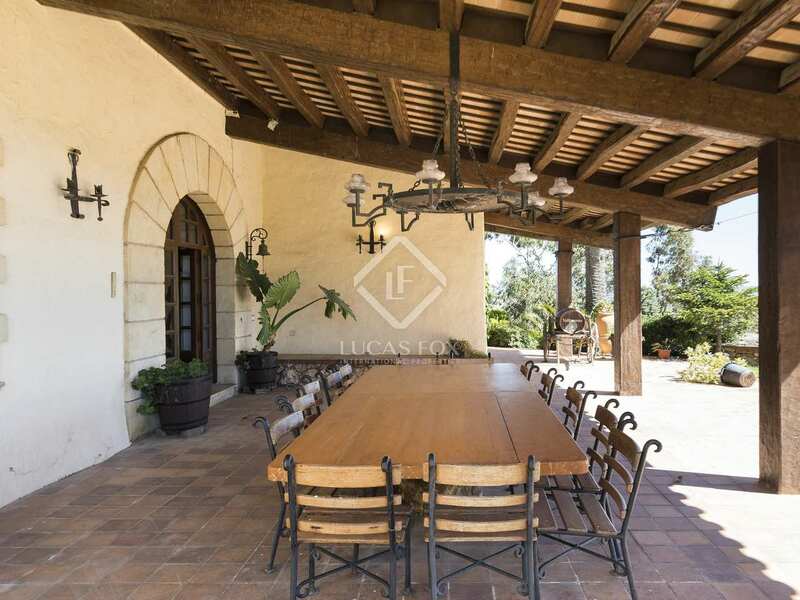 This estate sits in a fantastic countryside location just 10 minutes from the nearest town, 15 minutes from both Vilafranca del Penedès and the beach, and less than an hour from Barcelona. 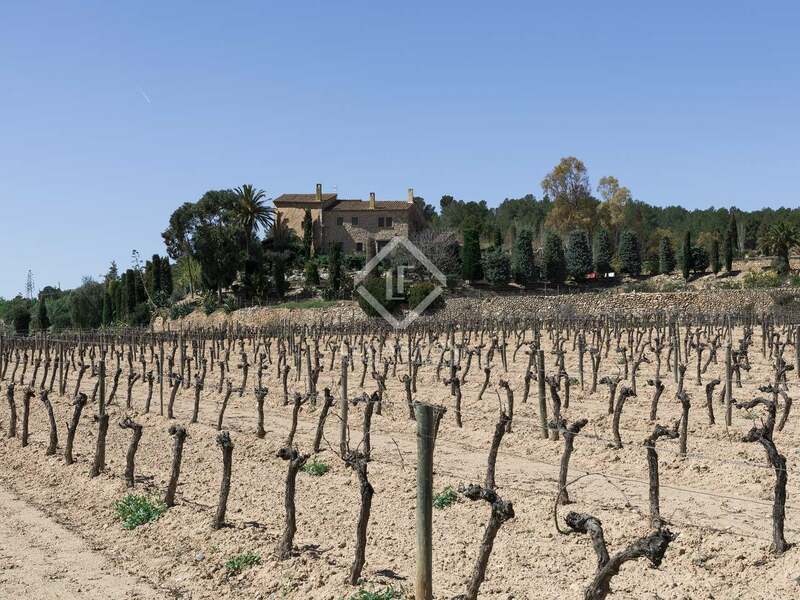 This is working wine country and the industry has grown up largely based on the reliability of the climate. 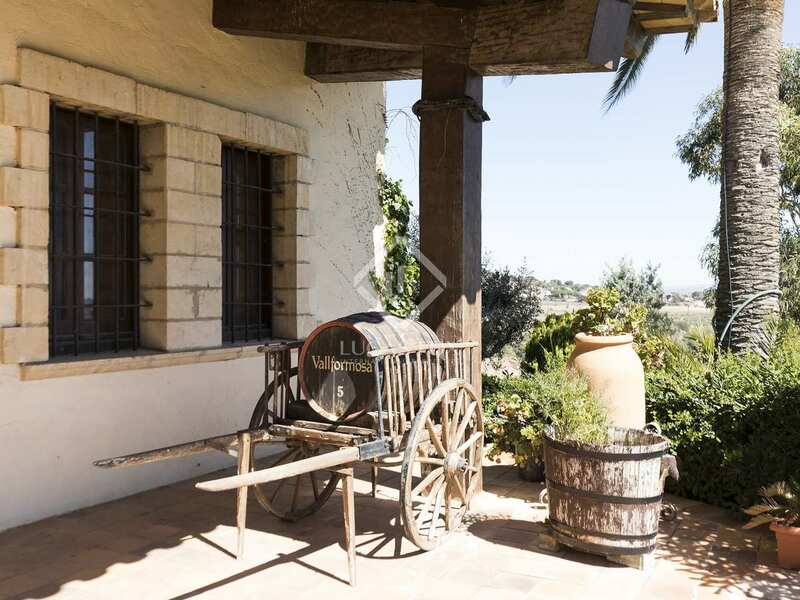 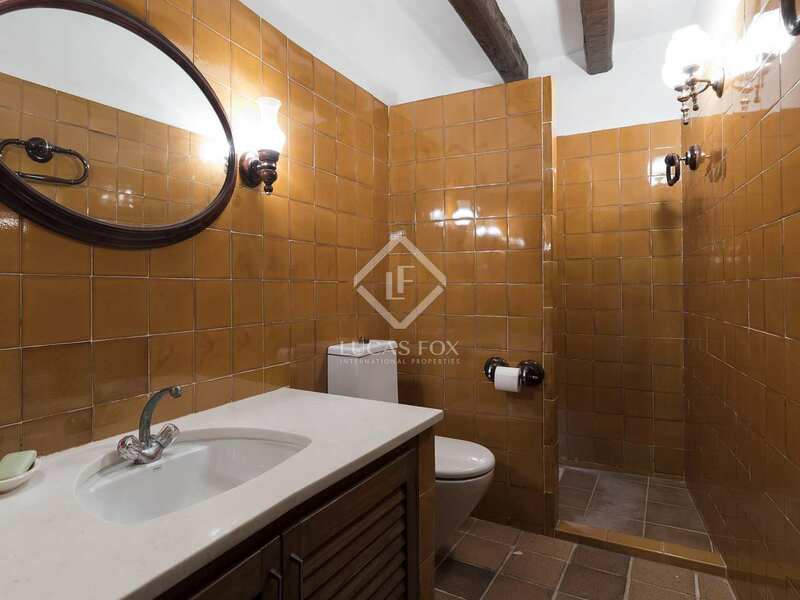 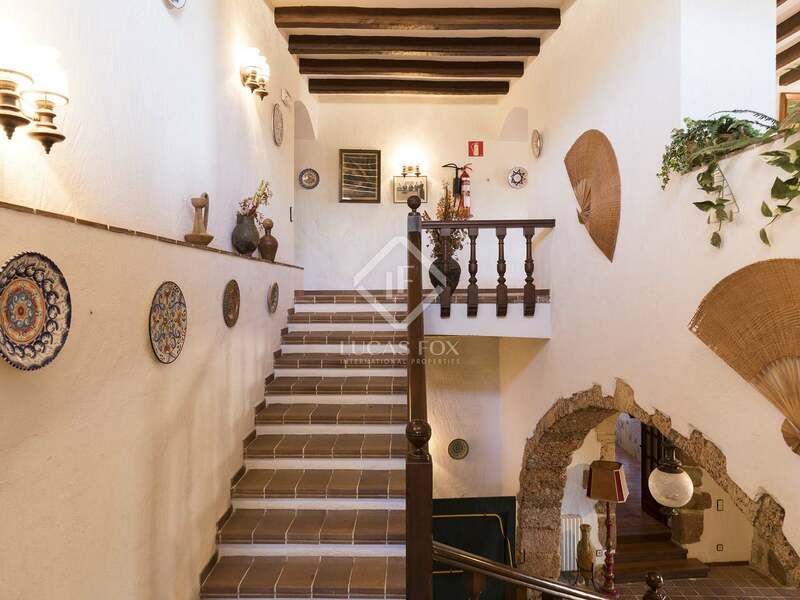 This also makes it perfect for embracing a lifestyle that offers the best of all worlds, with a peaceful rural setting that is also only 15 minutes from the sea and just half an hour from Sitges, the beautiful seaside town and iconic example of the beach life. 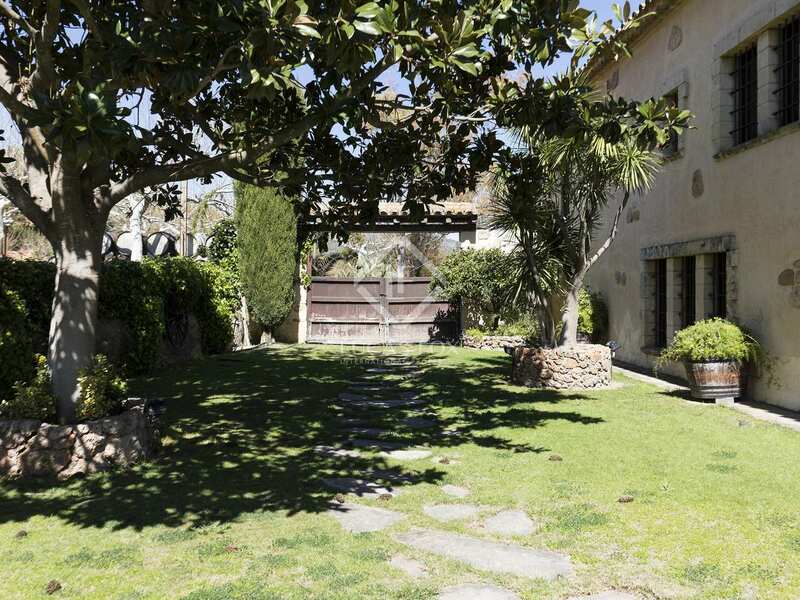 Overseas residents have easy access to some excellent international schools, and the rest of Europe is well served by airports at Reus (35 minutes) and Barcelona (50 minutes).